Why is her hair so short?? She's 6 months! I have the cutest puppy ever...she's 6 months and supposedly a shitzu maltese mix...but her hair is short!! She has NEVER had a haircut! I bought her from a vet when she was only a month and a half old and he swears up and down that she's a shitzu maltese mix but don't they all have long hair?? If she's a different breed I would love her all the same and I don't care if her hair stays short but I'm sooo curious to know what breed she might be if she's NOT what the vet says. Idk why she's still short. My Shih tzu was much longer than that at 3 months. She's adorable though! I would guess she is mixed with something that has a shorter coat. No clue !!! I don't know small breeds that well ! But eyes say Chi . I dunno but she's cuuuuuuuuuute! Not that any 2 dogs of a mix are alike.. but the pup looks nothing like anything I can find in google images for a shitzu/maltese cross. Absolutely adorable.. reminds me a little of a peke/chihuahua maybe. Cute pup! I don't see shih tzu or maltese in her. 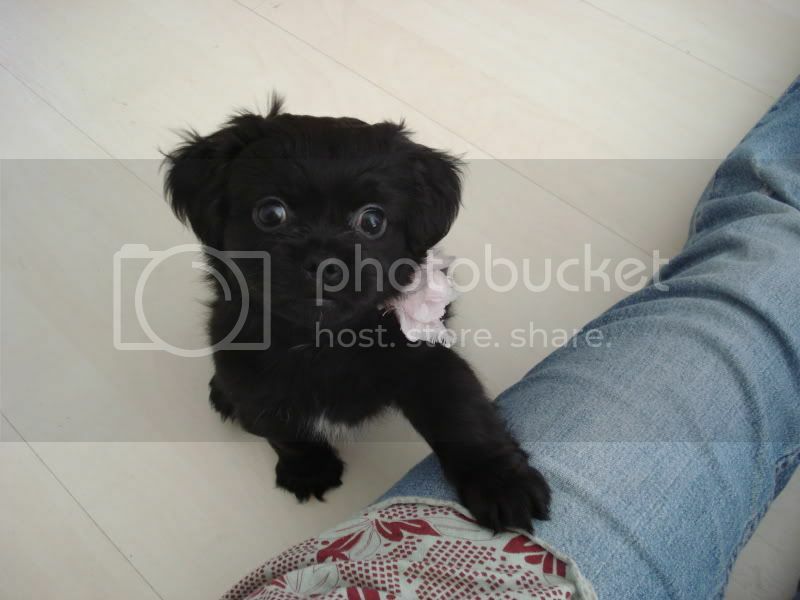 I've never seen a solid black shih tzu... and I think maltese only come in solid white. She's a cutie pie though! I think eyes look like chihuahua and like others say,I do not see Shitzu or maltese look..but cute!